Transport RV's, be your own boss, see the county, and get paid for doing it! That seems to be the initial thought of those wanting to work as a commercial RV Transporter. They move forward and quickly find that they should have learned a little more prior to taking that step. Read the forums, it's easy to identify those that weren't really prepared. Transporting RV's can be profitable and enjoyable if you understand the business. RV Transport 101 is designed to provide you with the real information for working as an RV Transporter, as a towable driver. Towables, as it sounds, are the units which are towed behind a tow vehicle. RV Transport 101 is the industry standard for obtaining information you'll need before taking that step. In addition, RV Transport 101 has provided information for experienced RV Transporters that allowed them to better run their business. With praises from presidents of leading RV Transport companies to independent drivers, RV Transport 101 stands the test of time. RV Transport 101 provides RV transport training specifically for making money transporting towable RV’s. You’ll have access to all of the essential and supplemental training videos. These videos provide information for making the decision, the equipment, dispatch, en route, delivery, insurance, legal, and more. In addition to all of the video training and information, you'll have access to all of the downloads. This includes the RV Transport 101 Manual. This is the same manual used in our live training and provided our consulting clients. Also available for download are additional manuals including sales and marketing, hours of service guide, plus documents and form templates that you can use for your day-to-day operations. We're not just providing the information needed for you to to begin working as a commercial RV Transporter, we're also providing you with support. You are able to ask questions by sending a message to our consultants directly. You just enter your question and when your question has been answered a notification will automatically appear letting you know you have an answer. You'll have immediate access to all of the videos, downloads, and support once you've completed your registration. Begin your registration by entering your information below and touch continue. Once your registration is complete, login and start learning! 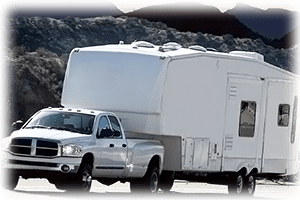 RV Transport 101: RV Transport 101 is ideal for anyone considering becoming an RV Transporter towing RV's. TALTOA has been training and consulting transportation professionals for over 20 years.